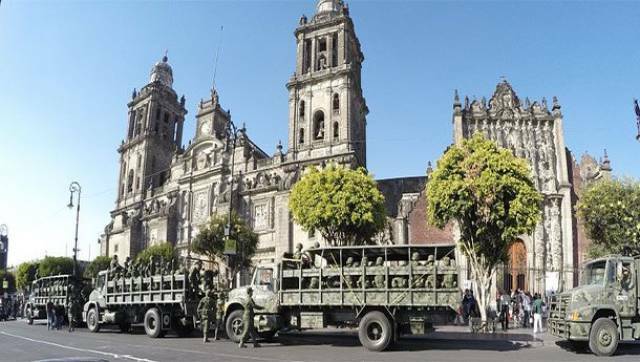 Although roughly half of its soldiers are reserve, Mexico can mobilize nearly half a million troops if necessary. 3 out of every 1000 people are in the army. Out of 429,900 soldiers, 269,300 are paramilitary. Worth noting, however, is that the vast majority of the paramilitary force consists of the People’s Volunteer Corps. In total, 13.9 people out of every 1000 are in the army. 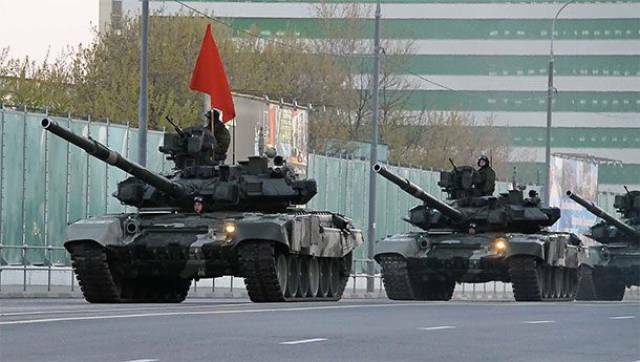 This former Soviet Republic and current hermit state has a total army of 447,500 soldiers. Only 48,000 of those soldiers are active duty though. 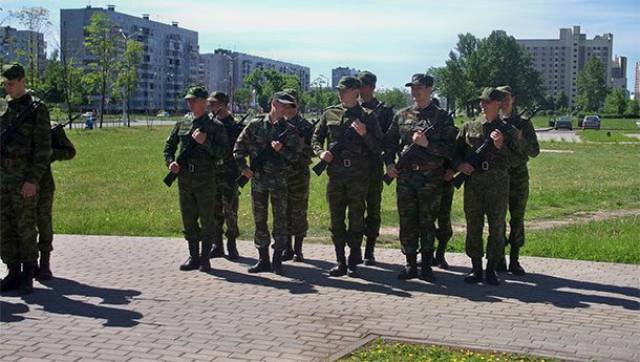 Unlike Malaysia and Mexico, Belarus is highly militarized with nearly 50 people out of every 1000 serving in the army. With about 1/3 of its army being active, the other 2/3 are reserve and paramilitary. About 11 people out of every 1000 serve in the army. 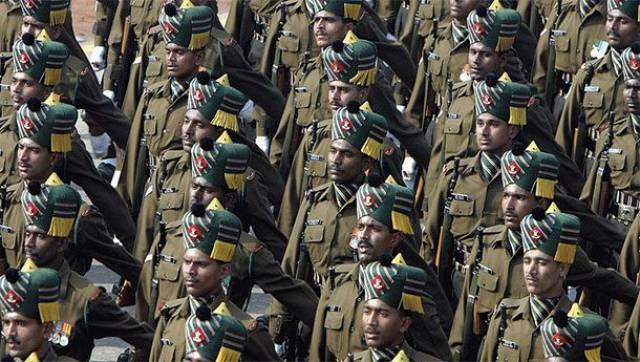 In spite of only having 5.7 million people, its army counts over half a million soldiers. 87.2 people out of every 1000 in this small city-state serve in the army. 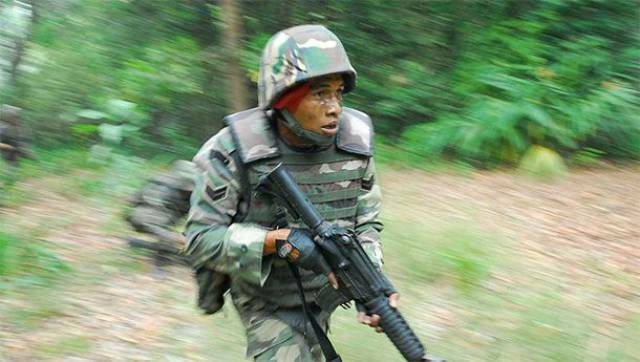 As of yet, Singapore is the most militarized country on our list. 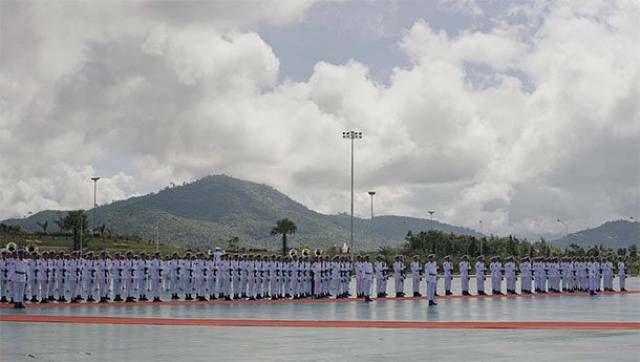 With over half a million soldiers, Myanmar stands out because the vast majority are active duty. This shouldn’t be too surprising, however, considering that the country is pretty much run by the military. 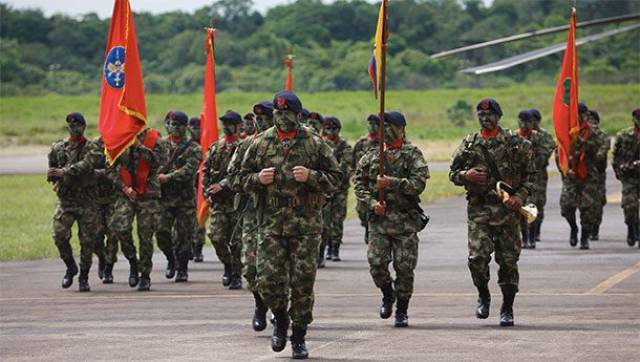 With over half a million soldiers, Colombia is the second most militarized country in South America. 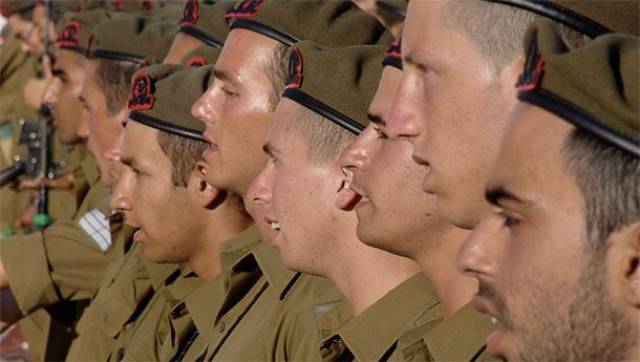 Although it is only 18th in size, Israel’s army is the first army on our list that can actually pack a punch. Although many countries have much larger armies in terms of personnel, Israel comes in 14th in terms of military strength. So far no other country on our list makes the top 20 in that regard. Here is a perfect illustration of the point we just made. Although Thailand has several thousand more soldiers than Israel, it comes in only 18th on the military strength index. This is 4 countries behind Israel at 14th. Size isn’t everything. 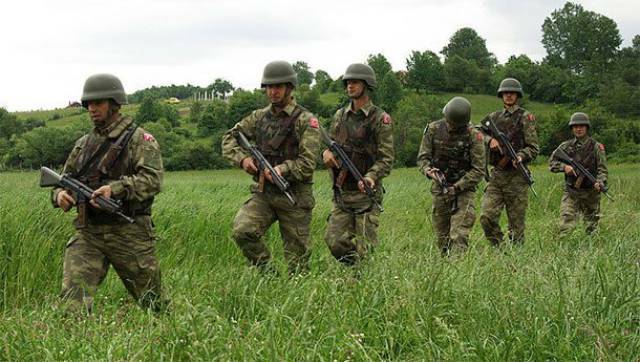 Although Turkey has more soldiers than France, Italy, and the UK, it only comes in 10th in terms of military strength. France, Italy, and the UK are ranked 6th, 8th, and 9th respectively. Of course, all of these countries are part of NATO which means they combine to form the European branch of the world’s most fearsome military machine. So yes, if you wanted to rank the most powerful militaries in Europe it would be: France, then Italy, then the UK, and then Turkey. 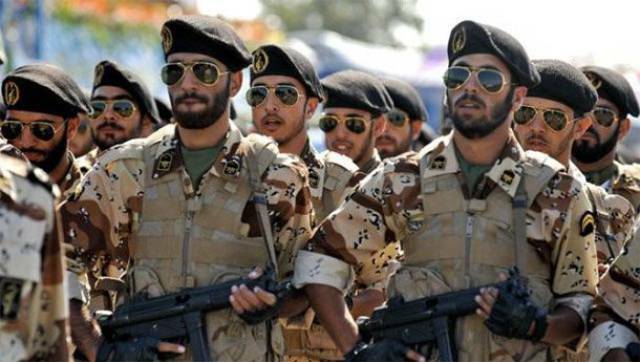 With an army of nearly 1 million soldiers, Iran has a lot of personnel but its military doesn’t crack the top 20 in terms of strength. 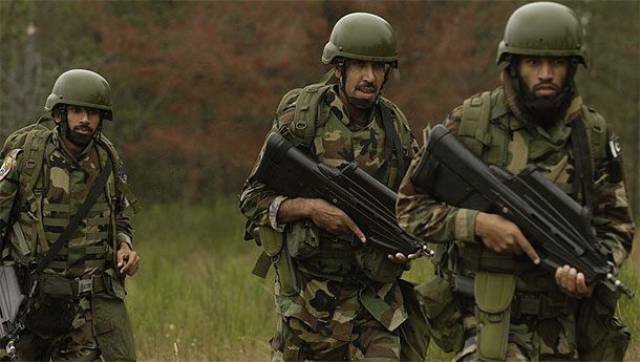 Although its army is only slightly bigger than Iran, Pakistan’s military ranks 11th on the military strength index. 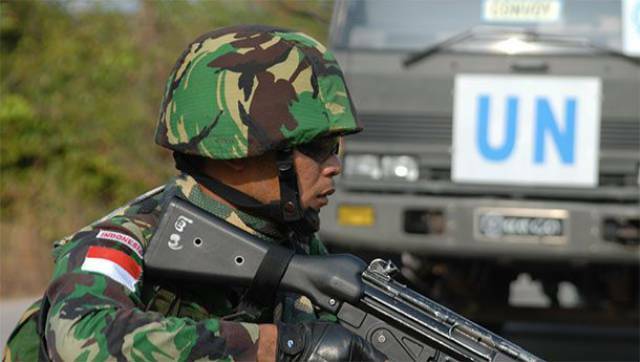 With over 1 million soldiers, Indonesia is the second most militarized Muslim majority country in the world. 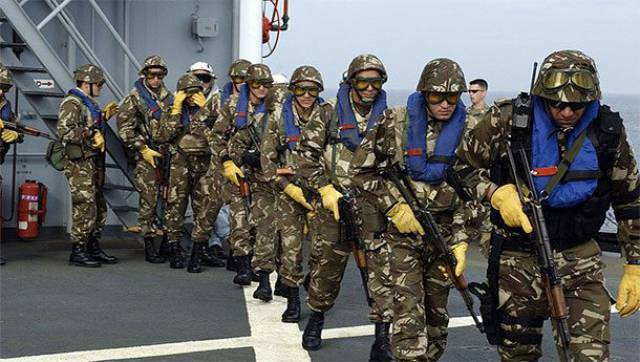 It terms of military strength, however, it only comes in 19th. That’s right in front of Canada at 20th. 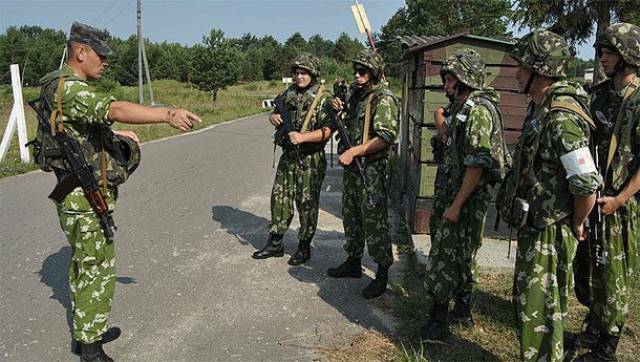 With a reserve force of nearly 1 million soldiers, Ukraine has the second largest army for a non-NATO European country (behind Russia). Unfortunately, the size of its military doesn’t help it in the power department as Ukraine’s military doesn’t even crack the top 20 in terms of strength. 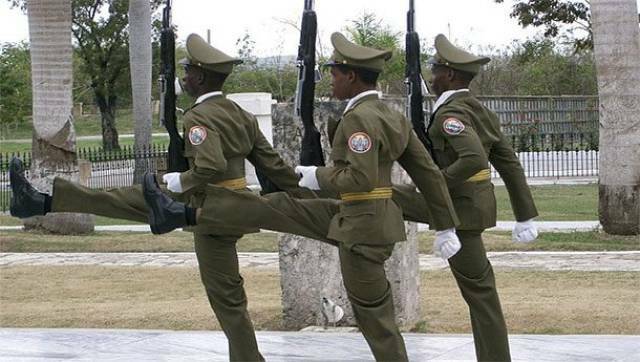 Cuba is the first hyper-militarized country on our list. 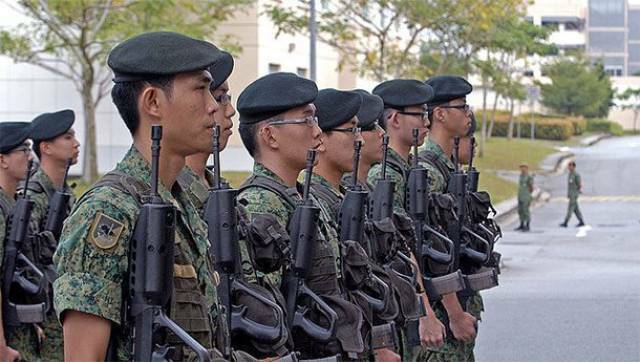 Well over 1/10th of its population is in the army, which is even more than our as-of-yet leader Singapore. Unfortunately for Cuba, however, its army size doesn’t translate into military strength as it doesn’t even make the top 20 strongest militaries in the world. 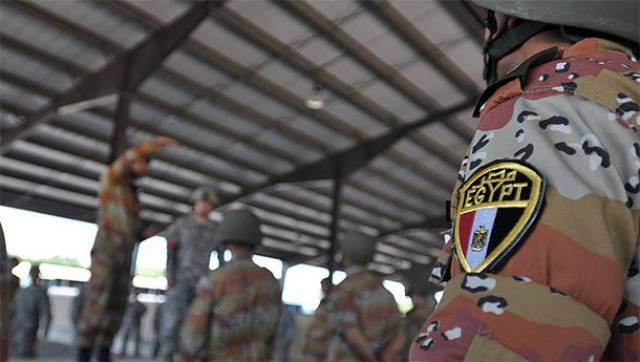 Egypt is the most highly militarized Muslim majority country in the world. Once again, however, we can see that man power doesn’t equate with military power. In terms of total strength it ranks 12th, behind Turkey at 10th and Pakistan at 11th, both of which have smaller army sizes. 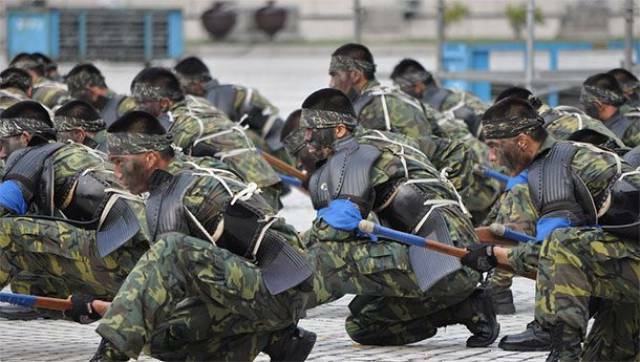 In terms of per capita soldiers, Taiwan is the 3rd most highly militarized country on our list behind Cuba (110 soldiers per 1000 people) and Singapore (87 soldiers per 1000 people) with 80 soldiers per 1000 people. Unlike the other hyper-militarized countries on our list, however, Taiwan actually cracks the top 20 in terms of strength. Its military ranks as the 13th most powerful, right between Egypt at 12th and Israel at 14th. 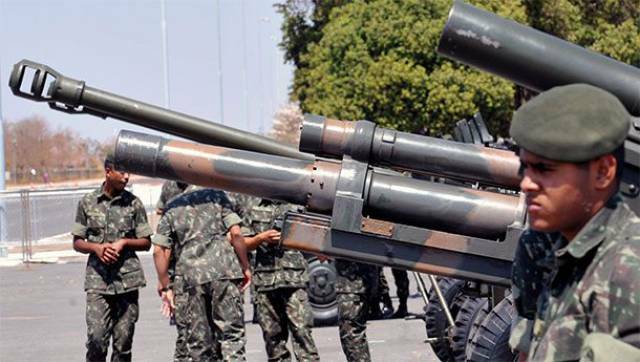 Although Brazil’s is the largest and most powerful army in South America, its military doesn’t make the top 20 most powerful in the world. As you can see, the US only comes in 7th in terms of army size. Moreover, only about 7 out of every 1000 people are in the army, which is quite low for the countries on this list. 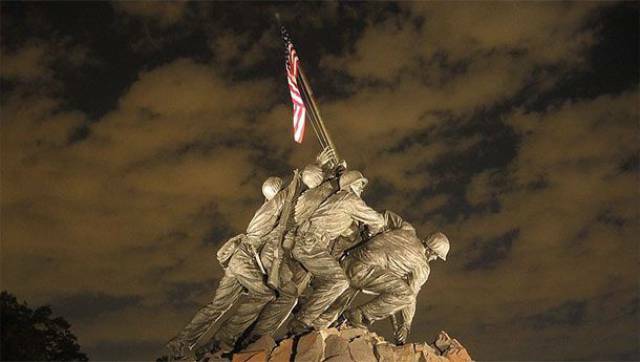 It goes without saying, however, that the US military is by far the strongest in the world. Real power lies in the Air Force and the Navy. The US has 19 air craft carries. That’s 16 more than the next country (Japan has 3). The US also has 13,000 aircraft. Russia comes second with only 3,000. In fact, the second largest Air Force in the world is actually the US Navy with nearly 4,000 aircraft. 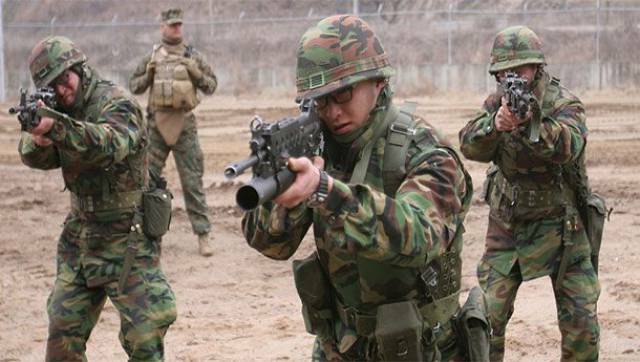 In terms of firepower, the US military is unrivaled. 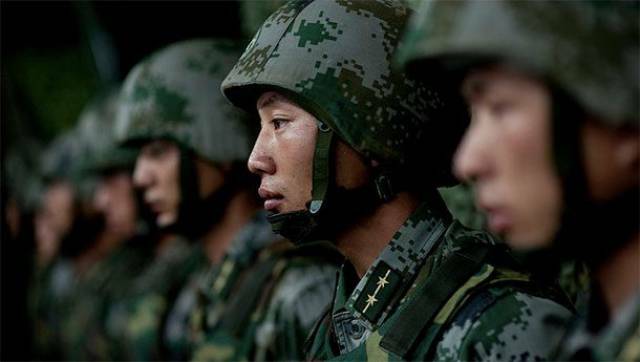 Although its army comes in 6th in terms of size, China ranks 3rd in terms of power right behind Russia at 2nd and the US at 1st. Although its military is still quite far behind the US in terms of strength, Russia does command the 2nd most powerful military on the globe. With nearly 5 million soldiers, India’s military is the 5th most powerful in the world right behind Japan at 4th and ahead of France at 6th. 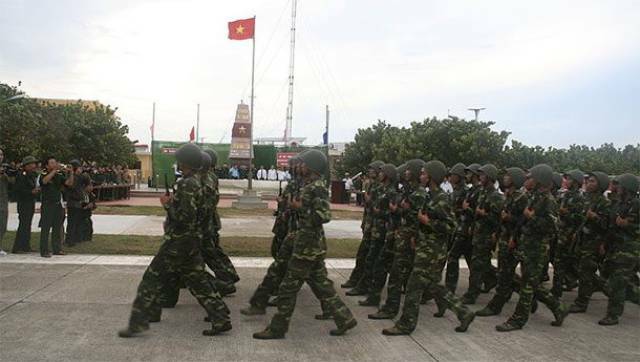 In spite of having more than 5 million soldiers, Vietnam’s military strength doesn’t even crack the top 20 in the world. North Korea is by far the most militarized country on our list. About 1 out of every 3 people serve in the army. Once again though, manpower doesn’t translate into firepower. Like several other countries on this list, North Korea’s military doesn’t make the top 20 in the world. Given that the Korean border is the most militarized area of the world (and the two Koreas are still technically at war) it makes sense that South Korea would match North Korea in terms of military mobilization. 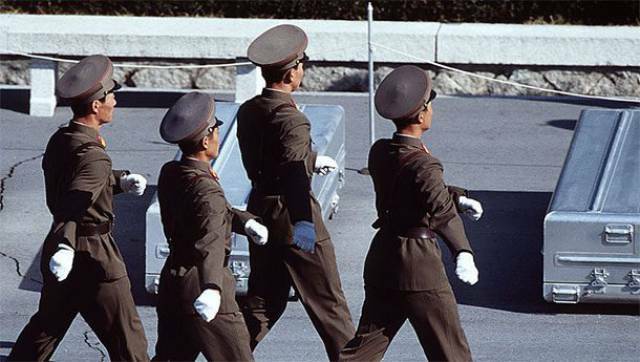 Although it has more soldiers than the North, South Korea’s larger population means that only about 1 in 7 people serve in the army. Also, the South Korean military ranks 7th in the world in terms of power, right between France at 6th and Italy at 8th. "Although its military is still quite far behind the US in terms of strength, Russia does command the 2nd most powerful military on the globe." Do you read yourself before posting??? It doesn't make sense. The number of soldiers doesn't mean much.